Our planet is a mess and we need to be greener. We can't keep driving around our cities to be pollution machines. We need better, eco-friendly transport. I am totally sold on the philosophy, but my oh my are we making a pig's ear of the execution. Before we get onto the growing e-scooter trend, I think it is important to look back at what has happened before. In my homeland, it's fair to say that sharing schemes have been, well, swings and roundabouts. The UK has experienced relative success with bicycle sharing in London with its so-called ‘Boris Bikes’. The Santander Cycles (formerly Barclays Cycle Hire) could only be left at one of 839 docking stations around the city, and it worked quite well for some time. The real problem, it seems, was triggered by the move to dockless bikes. Mobike’s venture into Manchester has been an interesting case study for how bike-sharing schemes can go horribly wrong. The Chinese company launched in the city in 2017, but is now threatening to pull out on the grounds of persistent vandalism and theft. Mobike’s global communications and marketing leader, Steve Milton, says that 10% of his fleet is going missing every month - around 2,000 bikes. Plenty of them have ended up in Machester’s waterways, locked in people’s sheds with the locks hacked off, or just been abandoned in the Arndale shopping center. Some people jumped on and cycled up into the Peak District. Others even rode over the Yorkshire border to Huddlesfield, 45 kilometers away! If you’ve ever ridden a Mobike, you can only have admiration for that kind of herculean effort. This is not a slant on Manchester. I lived there for five happy years and I love the city, I love the people, but Mobike has been a disaster there. In austerity Britain, where the richest 1% share nothing, it is a tough sell to ask those at the other end of society to buy into a collective transport scheme that harvests their data in the name of ‘sharing’. Let’s look at another case in point, the city I now call home, Berlin. Here in the German capital, we have the opposite problem - bike-sharing schemes have been too successful. Here, Mobike is joined by Nextbike, a collaboration with music streaming service Deezer, Byke, Donkey Republiic, Lidl Bikes, Lime Bike, oBike, Ofo and Sacoora. Have I missed one? Sometimes it feels like you can’t get away from these bikes, and they are clogging up the city's streets. If a couple of thousand were thrown into the Spree every month, the vandals would be doing us a favor. I’ve used Nextbike before but more recently, I have become addicted to the electric scooter sharing apps Coup and Emmy. Unlike bicycles, these are proper motorized vehicles similar in size to an Italian Vespa. You need a driver’s license to rent one, and they are meant for use on roads (although I've seen them elsewhere). What I love about Coup and Emmy is that they are fast, efficient ways to get around town inexpensively. Coup charges €3 for the first 30 minutes of driving time, so it's perfect for those longer 20-25 minute journeys. Emmy charges by the minute (€0.19) so I use it to zip around short distances. My route from the AndroidPIT office to my apartment takes about 10 minutes by Emmy, so the journey only costs around €1.90. For reference, a single ticket on Berlin’s U-Bahn costs €2.80. However, even with just two companies currently on the roads, it already feels like Berlin is reaching maximum capacity for these things. They are more difficult to throw in a canal, of course, but I have seen some pretty rogue parking jobs and I know people who are getting sick of the sight of them already. The higher initial cost of the scooters is probably a factor in keeping the actual number of them on the streets low for the time being. It is much harder for a new startup to drop 10,000 of these on street corners overnight. Each scooter in these fleets has its own registrations plate, and thus city officials must be able to control the number of vehicles on the roads. The problem is that not everyone has a driver’s license, and the last thing we need in most major cities is more road traffic. There seems to be an awkward middle-ground between these two transport sharing schemes developing at the moment. Lime’s e-scooters, which look like those micro scooters that were a popular kids toy in the early 00’s, sit uncomfortably in this market for me. They can reach speeds of 14.8 mph, which is way too slow for the road - even Emmy and Coup, which are capped at around 30 mph, can feel too slow when surrounded by cars - but you still need a driver’s license to ride them. They are also small enough to pick up and throw into a large body of water, lock away in a garden shed or leave on a train to the next city. They lack the physical benefits of a push bike because you don’t need to do any exercise to get them moving, but don’t have the range and speed of a motorized vehicle. These e-scooters, it seems to me, come with all of the bad points of the other two, with none of the benefits. They’ve already been rejected in San Fransico, a city that has had its fair share of scooter startup problems in the past - Dennis Herrera, San Francisco’s city attorney, sent cease-and-desist letters to companies after dockless scooters turned up on sidewalks overnight - but Lime is having more success elsewhere. 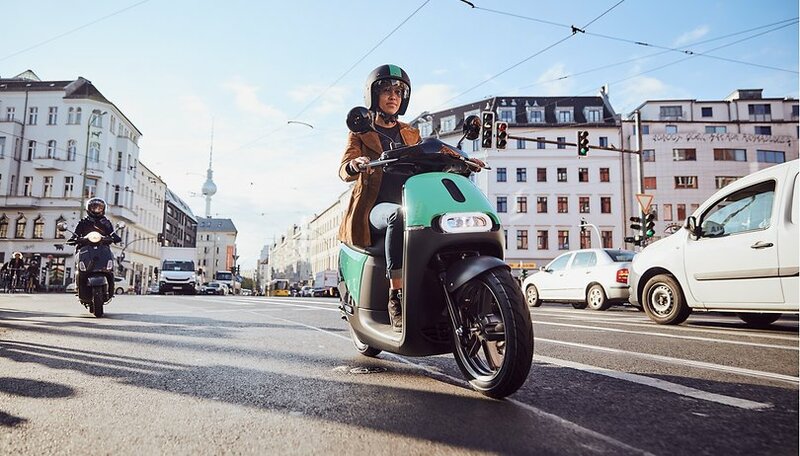 Just this week, Lime announced plans to release a small fleet of e-scooters in Waterloo, Ontario. It will be the startup’s first venture into Canada. Lime is not the only company trying to crack the formula for scooter sharing schemes. Scoot, Skip and Lyft are all also vying for sidewalk space in American cities. Lime is valued at more than $1 billion, and while it does have bicycle-sharing schemes all over Europe as well, I just can’t get my head around its e-scooter operation. The micro e-scooters are doomed to fail. I really want one of these companies to nail it. I want to see a green, affordable solution that is available for everyone. My dilemma is that I fear we are doomed to mess this up. Who’s corner should I be championing here? Do you have a solution to my dilemma? Let us know in the comments below!